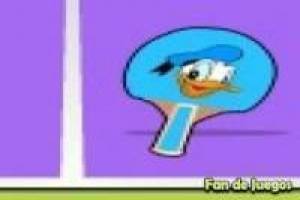 Mickey Mouse and his faithful friend Donald want to have a good time practicing some sport and this time, they have decided to face each other in a game of ping pong, or table tennis. 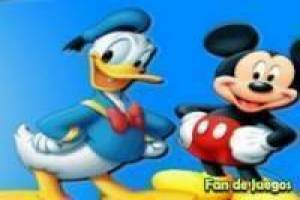 You will go to Donald' s side and you will have to try to beat Mickey in this game to become the champion. You will use the PC mouse to move the ping pong paddle and try to return the ball to your opponent' s field, trying that he can not catch it and you can add a point to your marker. It is very funny because you will see how the ball does not look normal, but it is the silhouette of Mickey' s face. Fight for victory in this game of Donald VS Mickey in the game of ping pong. 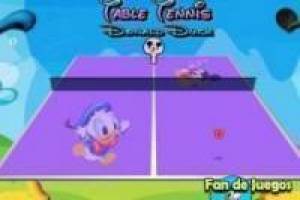 Enjoy the game Donald vs mickey: Table tennis, it's free, it's one of our Disney games we've selected.